I can do any weekend in the summer, EXCEPT for July 28 & 29. Maybe either of the previous 2. That being said, I agree with Mojo as far as hotels go. Last year, the wife and I stayed at the Green Lake Inn, which only had about 20 rooms. I imagine they go pretty fast. On the food, instead of pig roast box lunch style from the sub shop or pizza? I see a Green Lake, WI west of Fond du Lac. Am I looking in the right place? How far a drive is it from Milwaukee? I quess I must be to computer dumb to figure out how to vote......but I am with the Lake....August. WE are the minority Chuck. Maybe you and I just should meet up in August. Is there a campground on the lake? and is there an award for most miles traveled? Mark; If it is in the middle of July I cannot. Bummer, but I have work camp at my job and then I hit Norris Lake in Eastern Tennessee to see all my Ohio buds. But I sure will miss it. Sounds like those guys had a great time this year. We got alot of guys down here, maybe we should get something goin' for ourselves. Possibly around April and tie into the Orlando reunion. We could have our own "C/CFAN" area. Did you go there last year? Jbear, I'd love to make Green Lake, but in the middle of July I'll be in the middle of a South Dakota reservation. Maybe something else will out. 62 (Steve) is looking at a little something in Iowa for May. Where you wanna meet in August Jbear? Chuck: If all works out for us, we will stay over in Tennessee after all the Ohio guys go home. But that may be a little far for you to come. But you guys would love it there. I don't know....lets look at a map and see what is "halfway" between you and me. Trouble with that tho is you don't know what you are getting into water wise. How about a Spring Training trip? MM: How did I miss the free beer tent? We gotta set something up for this year. And why on earth would you and Blondie want to go on a road trip when we live in the land of the year-round vacation weather? Oops-Senior moment...I forgot ya posted that pic of that great lookin' boat. Musta spent to much time at the beer tent. You guys always amaze me with the tricks you can make these computers do. It would take me a hour to find and post that pic! Sorry to make you all vote again but I created a new Form call CorrectCraftFan.com Reunions. There you will find six polls that cover Mojoman's questions and each have a place to post comments. Yes thats the place, milwaukee approx 2 hours. Yes to the campground, as for awards for longest traveled, yes, we all get to check out blondiegirl. Keep the voting alive, even if you have not attended before and want to spend a great weekend in beautiful Wisconsin. 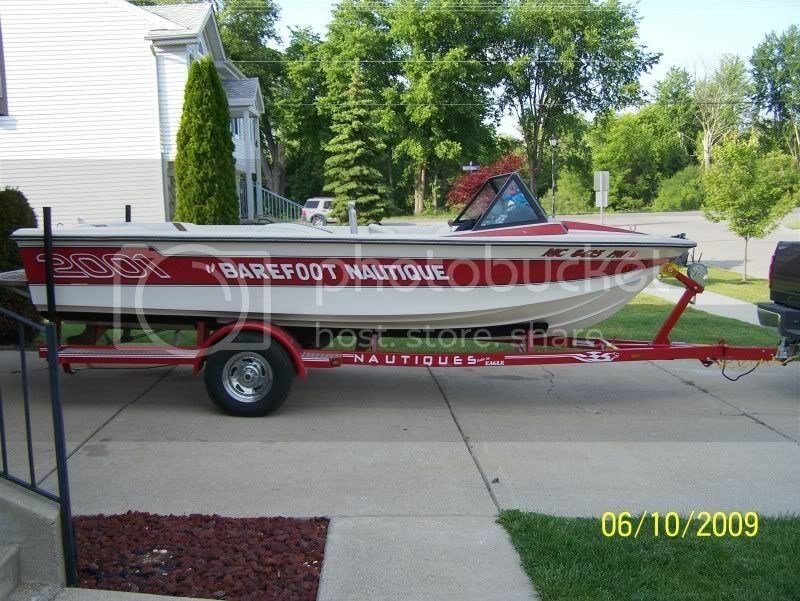 hopeing to go depending on which week end in July, wouldn't be much fun with out my own boat. As i let my parent's use it the first two weeks of july. have to check and see when they are coming back home. where are they going to be? maybe they could just take it over to GL for you for the week-end. hell just make them move of their schedule a week and then you'll have the bases covered? As I sit here in the dark at 5pm, looking outside and knowing the temp is hovering around a steady 40 degrees during the day, let me be the first to ask.......is it July yet? rob, swing down here...I skied with no wetsuit this morning.